Our Hemmingway Ottoman is a special ottoman, it s carefully upholstered and has the unusual cross pleated and surface buttoned detail. 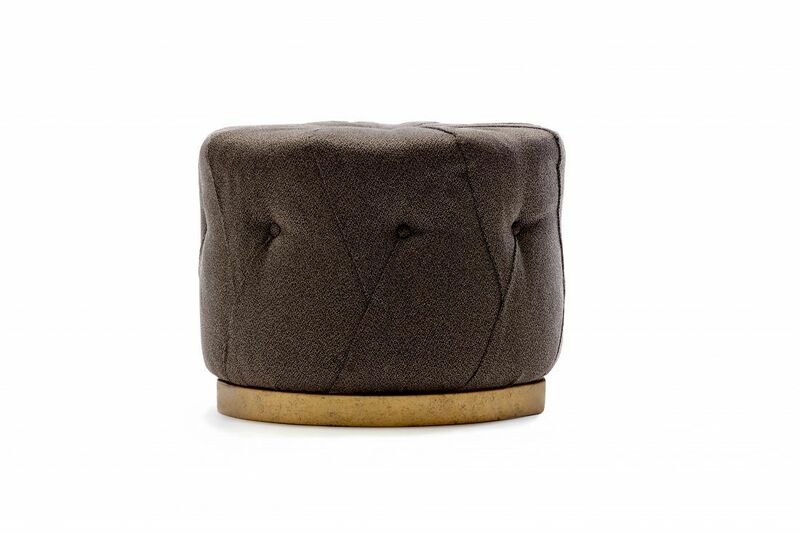 The ottoman is perfect as a bedroom stool or occasional stool. The base plinth is available in any of our finishes and looks great in one of our hand painted finishes, pictured here is our old gold finish. You have a choice of 22 wood finishes to choose from or we can match to your colour or finish sample. To ask a question about the Hemmingway Ottoman click here. We'll email you the answer as soon as possible. If you have a question about the Hemmingway Ottoman, fill in the form below and we'll email you the answer as soon as possible.